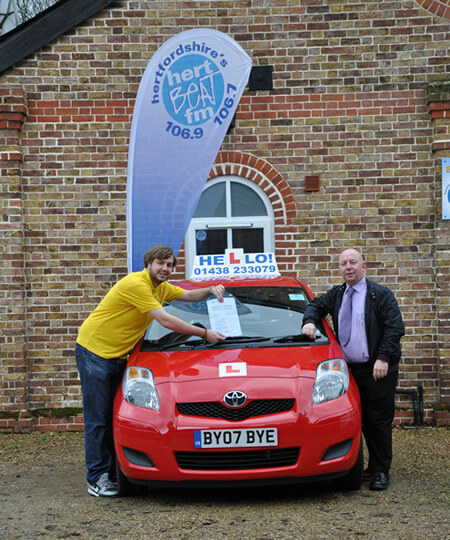 I’m Carl Pendlebury, I’m a Radio Presenter on Hertbeat FM (now Bob FM)and I passed my driving test first time with John from Hello Driver Training. When I first started at Hertbeat FM, I had no driving licence, which was a massive disadvantage for the job. Hertbeat FM put me in contact with John, on the condition that all the lessons would be recorded to be played out on air, just to add to the pressure. My stand-out memories include the Luton experience, which involves driving undirected to Luton and back. To anyone learning to drive, I thoroughly recommend this as it really gets you to apply everything you’ve learnt so far. Also, I’m fairly sure I will hold the record for getting lost on the way back for many years to come. Further optional experiences that John offers include driving into London, which I would strongly encourage anyone who is learning to take up. Driving in London is completely different to anything you will ever have to do as a driver, so it is a sensible and worthwhile decision to undertake this journey for the first time under the supervision of John. The key reason for me passing first time is down to John’s excellent method of teaching. All the manoeuvres and observational points are cleverly broken down and easy to remember and John’s calm and reassuring manner mean that your confidence is built up and maintained increasing your likelihood of passing first time. I was previously with a different instructor before John. I didn’t feel comfortable in the way that I was being taught and found it hard to communicate with my instructor. John was completely the opposite. He was easy to talk to, tolerant and understanding towards me. The Luton experience was one of the lessons that I would never forget, along with driving down country lanes in complete darkness! The free NLP also helped to boost my confidence from failing my test from my previous instructor. Not only that, I have applied the experience learnt from NLP to everyday life and feel like a more confident and successful person in general. I have no hesitation in recommending John as a quality driving instructor. Thank you John for getting me through my test. I was recommended to John by my friend Mel who has also passed using his expertise and I am so thankful to her for recommending him. John is an absolute star!! He has taught me everything that I know and I really couldn’t be more grateful. 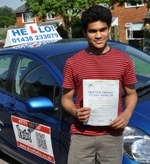 Due to his continuous perseverance with me, I managed to pass first time and I put that all down to John’s excellent teaching strategies. He always makes sure you’re comfortable and happy and doesn’t make you do anything you don’t want to. There are key moments that I will never forget that I experienced with John which includes, the Luton experience that taught me so much giving me more confidence and experience on a variety of roads and placing me in everyday situations. Another memory I will keep forever that always placing a smile on my face is the song I created for John, “I Love My Driving Instructor”. There was never a dull moment with John and I couldn’t be more satisfied and appreciative for all the hard work and effort John supplied me. I would recommend John to anyone who is wishing to learn to drive the whole experience is unforgettable!! Like many brave people before me, I gave John Billingham (as recommended by many) a call for some serious driving lessons. To begin with “Must check your mirrors… mirrors, mirrors, mirrors” would be John’s favourite phrase. 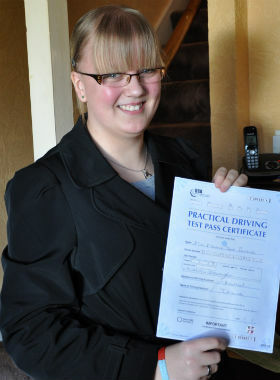 However, gradually, lesson by lesson, I found myself excelling behind the wheel and occasionally checking my mirrors. John recommended that I booked my test ASAP, which gave us a goal to work towards during lessons. Each lesson was a new and exciting experience on the road, none as unforgettable as the legendary “Luton Experience”. What happened during the events of the “Luton Experience” is still unknown, but somehow both car and an unnerved John made it back in one piece. John’s dedication and flexibility were key during the build up to my test; each lesson was challenging and a good laugh, which was bound to contain a bit of banter here and there. I would recommend any learners to take lessons with John. His teaching methods are second to none with his diverse out-of-the-box thinking makes him different to your average driving school. I would not have PASSED FIRST TIME without the guidance, confidence, and encouragement John has provided during our 10 (!) hours of lessons. So if you’re serious about driving, get on the dog and bone (phone) and give him a call! John is an excellent instructor, I got recommended to him by my brother and since I have recommended him to 3 of my friends who have all passed, If your serious about driving give him a call. The Hello! Driving school program is about so much more than learning to drive. The teaching environment is fun, safe and encompasses a host of lessons about how to be a better driver. I was pleasantly surprised how complete the program really is, I have told all my friends and they’re all having a fantastic time, passing with fun and confidence! 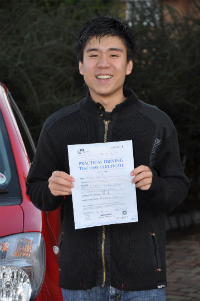 I passed first time with John and it was purely down to his teaching methods and how comfortable he makes you feel. He is very calm, encouraging and there is always constructive criticism rather than a telling off. He is a joy to learn with and can be very flexible with lesson times. Like so many others, my favourite lesson was the ‘Luton experience’ which tests your individual driving skills that are essential to you in the real world as there won’t always be a driving instructor next to you telling you what to do. John has a great sense of humour and I thank him for all of his time and effort spent on me. Personally, I don’t believe there is anyone better and I thoroughly recommend him to anyone who’s trying to learn to drive safely and effectively. Having lessons with John has been a very enjoyable and never forgetting experience. John has not only taught me the things I needed to pass the test but has given me an experience of driving in different situations so I was prepared when I had passed and had to face such problems. One of the experiences was narrow country lane driving which I found very nerve-wracking if I hadn’t previously practiced during lessons as space is very limited. John has been very supportive from the day I learnt how the clutch works to the day I passed my test, encouraged me throughout the course and has got a great sense of humour. Every week I was looking forward to the lessons as we had a good laugh and I learnt a lot at the same time. This is also a valuable experience because in the future I will not just be concentrating on driving but talking to my friends in the car at the same time. To sum up, I couldn’t of found a better driving instructor and I really thank John for being there all the time for me. I passed first time with John and it was all down to the excellent way in which he teaches, he always makes sure you’re comfortable with doing something 100% before moving on, which is so beneficial! One of the key experiences for me was the Luton experience, I learnt so much from it even though I was absolutely terrified of having to do all the road sign reading independently, but it is very helpful as it makes you feel more independent when driving, rather than relying on John to tell you where to go. John is such an understanding person, and believed in me every step of the way, even though I doubted myself constantly! Every lesson with John was very enjoyable and he knows how to have a laugh. 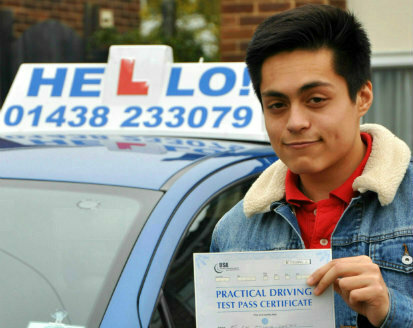 Without Johns help and support every step of the way I’d have never have passed first time, I couldn’t think of anyone I’d have rather learnt with, I’d recommend John to everyone who is thinking about learning to drive, you will not regret it!